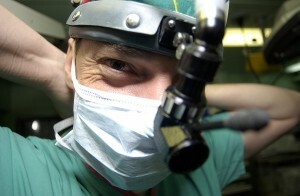 There are a million “flavors” of surgeons in this world, from heart surgeons to brain surgeons to oral surgeons. If you are looking for oral surgeons in the San Francisco Bay Area it is as well to choose the best. Look no further than Dr Alex Rabinovich. Dr Rabinovich does not carry out heart surgery or brain surgery – he leaves that to those who specialize in those fields. Similarly, those surgeons are not oral surgeons and do not undertake oral and maxillofacial surgery – they leave that to Dr. Rabinovich. Dr Rabinovich is educated in both medicine and dentistry. He grew up in San Francisco but began his medical training in New York at Columbia University School of Dental and Oral Surgery where he obtained his DDS degree. He then went on to State University of New York, Downstate School of Medicine, where he earned his MD degree. Having obtained his degrees, Dr Rabinovich then went into residency in General Surgery and Maxillofacial Surgery at Kings County Hospital. He developed a special interest in facial cosmetic surgery and was offered a fellowship at Georgetown University/Posnick Center for Facial Plastic Surgery where he worked with several of the world’s leading oral surgeons in the field. Dr Rabinovich’s goal is not just to be one of the top oral surgeons, but to be the best oral surgeon for you and your needs. To that end he created his state-of-the-art office and surrounded himself with a team of highly qualified specialists in order to provide the best oral and dental surgery in San Francisco. The equipment in use at our offices is nothing short of the very latest. Dr Rabinovich is not just concerned with the beauty of your smile – he is also concerned about your overall oral health. He would rather provide dental health care than dental disease care whenever possible. Dr Rabinovich is highly regarded in the world of oral surgery and facial reconstruction and is frequently asked to give lectures at conventions in his fields of expertise. He has also produced several white papers on various aspects of oral surgery. He understands that, for many patients, oral surgery may make them feel uneasy or nervous, which is why our office is designed to offer as relaxing and positive an atmosphere as possible. Being a top oral surgeon is not enough for Dr Rabinovich: his aim is to be the best oral surgeon for you. This entry was posted in Blog and tagged oral surgeon, San Francisco, San Francisco Bay Area on December 14, 2016 by Dr Alex Rabinovich.